In the third and final installment of our annual look at members of the graduating class [see parts one and two], we turn our attention to four students at The Albert Nerken School of Engineering. Devora Najjar, Peter Morfe, Jacqueline Le and Hailey Kim talk about their projects, their experiences and their future plans. Devora Najjar, a graduating senior in chemical engineering, is a well known figure at The Cooper Union. This fact is as much a result of her academic work as her social activism. She served as the school’s first student representative to the Board of Trustees while carrying a full course load and participating in a bioengineering project that has garnered interest from the likes of TechInsider. “I was always overextended because if I’m not, then I don’t know what to do with my free time. So it worked out well,” she says. During her time at Cooper, Devora, who hails from Lawrence, Long Island, discovered that her great academic interest lies in the field of genetic engineering. To explore the subject, she applied for a Summer Undergraduate Research Fellowship to work as a researcher on a project with Kevin Slavin A'95, a fellow member of the board and a professor in the MIT Media Lab. 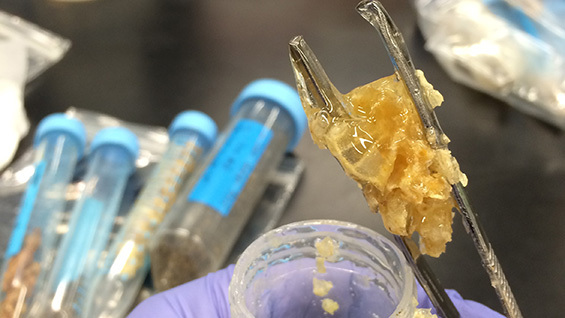 The project entails gathering organic materials from beehives around New York City, sequencing the DNA of the microbes found there, analyzing the extensive data gathered, and finally finding a way to visually present some of the information in a way that is clear to non-scientists. For this last part, Devora collaborates with graphic designer Regina Flores Mir from Parsons, artist Chris Woebken and Miguel Perez in Cambridge at the Media Lab. At the end of the month, the group will be showing their work at the Venice Biennale. Devora joined the board in December of 2013 as a sophomore. Early in her time at Cooper, she became active in protests against the charging of tuition and participated in the occupation of the president’s office in May of her freshman year. She recalls being in the office for the protests while studying for a physics final. She was gratified that most of her professors were unstintingly supportive. “I think they were very proud of me for being willing to spend my time fighting for this school,” she says. One way she hopes she and her classmates can continue to have a role in the dialogue about Cooper’s future is to found a group for young alumni, a place where recent graduates will feel comfortable sharing their views. "My thing is math," says Peter Morfe, who will graduate from the electrical engineering department. A Summit, New Jersey native, he arrived at the Albert Nerken School of Engineering after having already spent two years at the University of Chicago on a history major track. There he took a math class that basically changed the course of his life. He felt pulled in another direction, toward engineering. A friend of his mother's told him about The Cooper Union. He started all over as a freshman. "Coming from Chicago, I noticed how worthwhile infrastructure is, so I went into civil engineering," Peter says. "Even now I am passionate about public transportation. I don't want to have a car at any point. But I ended up transferring to the EE major because, if you are mathematically inclined, you are encouraged to go into electrical engineering since the coursework involves more math." "There's a lot of things to like about math," Peter says. "If you are studying history, for example, it is hard to know what's true. Studying math is all about getting to the bottom of what's true and why. It connects to other things like physics and geometry. How do things fit together? How do you quantify things? And that's the problem with history. The question of 'How do you know what's right?" 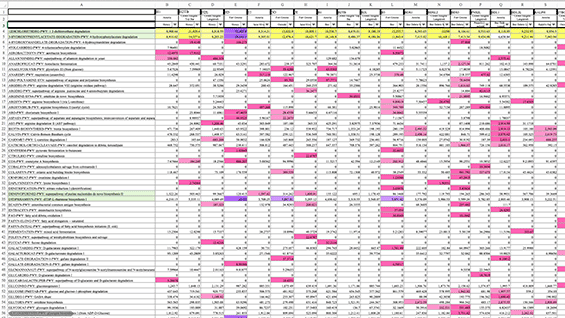 is basically, 'How do you quantify it?' "
For his senior project Peter has been working with a group focused on exploring cognitive radio. It's a computer-assisted device that searches the electromagnetic spectrum to find unused bandwidths to support the ever-more-crowded communications space. "The thing is, if you have more devices that are wireless like a thermostat you can talk to from miles away, there is nowhere to put them. So cognitive radio is trying to find openings where people aren't using parts of the spectrum they’ve been given. Sort of like pirate radio." But he admits that cognitive radio is not really his thing. Watch his eyes light up when he talks about his work during the summer. "I did some research in dynamical systems with a mathematician at Fairfield University. I am interested in math as it pertains to physics." 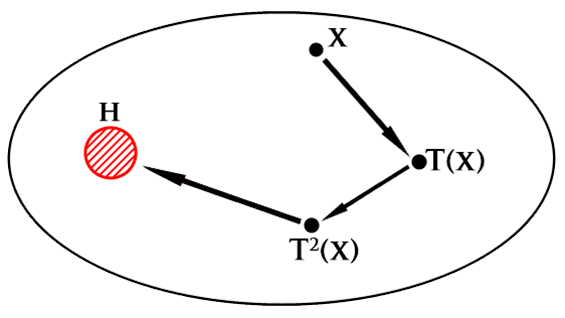 His work focused on studying dynamical systems away from equilibrium. "We looked at a system where a hole would allow a certain amount of particles to escape. 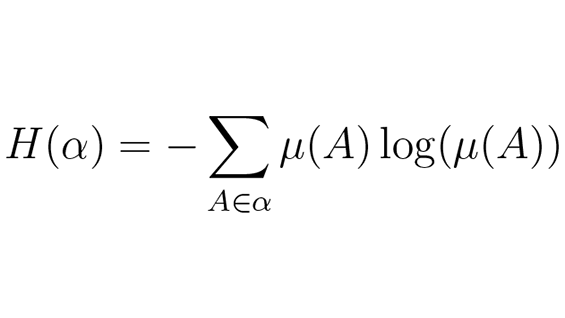 We already know something about what happens if you have no hole, but our question was, if you introduce a hole, what does that do to the statistical properties of the system?" Peter hopes that research in this area will help mathematicians understand the relationship between microscopic and macroscopic physics. "In principal, if you zoom out you ought to see partial differential equations at a larger scale. But it is not clear how you actually do that mathematically." Jacqueline Le, who will graduate from the mechanical engineering department, has married her talent in the arts with her interest in the sciences. A violinist since she was seven years old and a member of Poco a Poco, The Cooper Union's chamber orchestra, she turned her attention to acoustical research and confirmed what most everybody downtown knows but maybe couldn't prove: It's loud down here. Like, illegally loud. Jacqueline grew up in Abingdon, Maryland, near the Army's Aberdeen Proving Ground. Her father has two engineering degrees—“which blows my mind," she says—in civil and electrical. At the magnet Science and Math Academy at Aberdeen High School she participated in several Army-sponsored STEM outreach programs. She found The Cooper Union through an internet search and applied to the civil engineering program. But her freshman class in Engineering Design and Problem Solving (EID 101) changed her mind. "The project I did with Prof. Wooton was to create a game that makes exercising fun. So ours was called the Hit and Fit. It's a treadmill with punch pads that you punch while you run. That's what sold me on mechanical engineering. I thought, 'These projects are so cool.' "
After a junior-year project working in the 41 Cooper Square sound-dampening anechoic chamber (the only one in New York!) Jacqueline decided to focus her senior project on continuing her acoustic research. "The grand project is to re-evaluate the New York City noise code and see if there are improvements or suggestions to be made," she says. "The noise code gives limits on how loud things can be. For example, there are limits on how loud HVAC equipment can be. They tell you where you have to measure it from and how many decibels it can be. It ties in a lot with the mechanical code." The project was inspired by an echt New York problem: a couple complaining of noise in their apartment. They attributed it to 41 Cooper Square. Jacqueline and her team used instruments to measure noise at various frequencies from the complainants' roof. (They were not allowed into the apartment.) "We need to figure out whether we are in code or not. If we aren't, we need to do something. We were having a lot of issues trying to understand the code, which is why the project expanded." 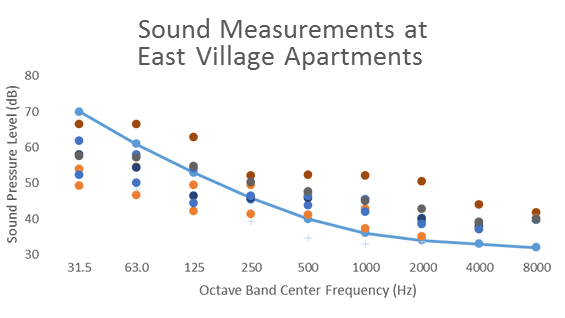 They could not duplicate the reported problem but decided to measure the ambient noise levels at various Lower East Side apartments of their friends. "In every single case, the apartment was out of code, meaning that something around their apartment was louder than what is allowed. But nothing is happening because no one is making complaints. The DEP only steps in when there is a complaint," she says. Her time at The Cooper Union is "one of the best experiences I've ever had," Jacqueline says. "It was very tough a lot of the time. But I have matured. It's given me the opportunity to be independent and resourceful. Like with the noise project, I reached out to CEOs of companies that do this for a living. If you had told me as a freshman I would be doing something like that I would have said, 'You are lying.' " In fact, Jacqueline has parlayed her confidence and her twin interests into accepting a position at Arup, an acoustic consulting firm in downtown, New York. Whatever obstacles those first months held, Hailey has certainly flourished at The Cooper Union. She has been a stand-out scholar and a very active part of club life at the school, having served as president of the Environmental Club and co-president of the Ballroom Dance Club. “Before I came here, I didn’t know anything about ballroom dance. Everybody was so welcoming even though I had no experience and was really bad at dancing. I feel I improved a lot,” she says with characteristic enthusiasm. While in middle school, Hailey had thought she would study architecture. But after an internship at an architectural firm, she decided that she preferred to pursue civil engineering in part because she thought it could be an effective way to help fight climate change. A graduate of the Korean Minjok Leadership Academy (KMLA) in Gangwon, a city in central Korea, Hailey wanted to study both structural and environmental engineering. 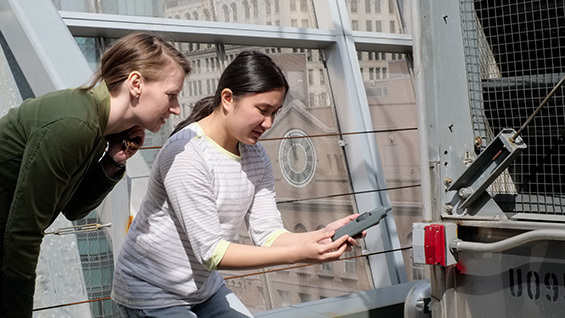 Though many schools see the subjects as separate majors, she came to Cooper because its Civil Engineering department offers courses in both subjects and treats them with equal significance. “I think it’s very important to consider sustainability all the time when you’re designing structures. I’d like to design sustainable buildings,” she says. To that end, she has been working with Prof. Jameel Ahmad and fellow civil engineering senior Nina Berlow to determine how concrete slab reinforced with stainless steel wire mesh behaves under stress. “We made the slab very thin and tested to see if it acts like a traditional beam, and interestingly it acted like a membrane structure; it showed a lot of flexibility,” she says. At the same time, the material demonstrates a great deal of strength. 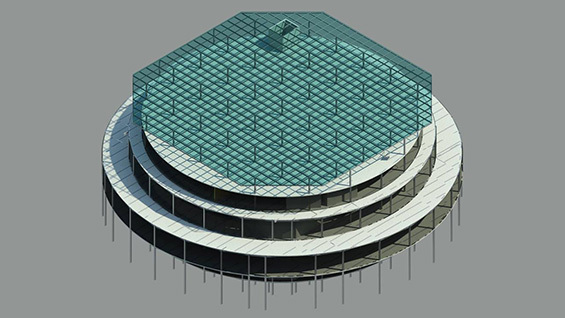 Hailey points out that it might be an ideal material for building facades since it can be poured into various forms while still having considerable tensile strength. In February, Hailey participated in the school of engineering’s first "From the Lab" event that showcases students' and professors' research. Hailey, working with fellow students Peter Wang, Kirsten Ondris, William Wang and Jean-Dominique Bonnet, studied how to remediate soil in shallow aquifers that have been severely compromised by gasoline spills. 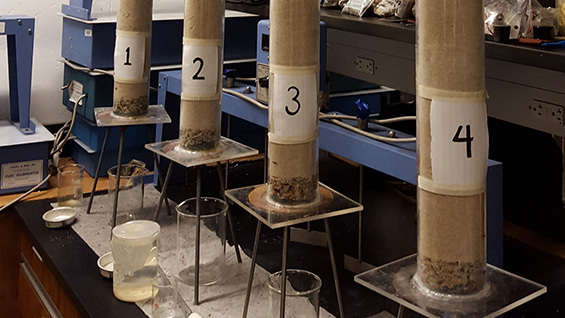 Under the supervision of Prof. Constantine Yapijakis, they studied four different soil columns with different magnitudes of spills. For her final project, Hailey is collaborating with Peter Wang and Jianqin Wang to design a concert hall for the East Elmhurst section of Queens. They chose the site because it had sufficient space and no similar facility could be found in the area. Having built a model of the project in the fall semester, Hailey and her colleagues presented their structural drawings to their professors in the spring.